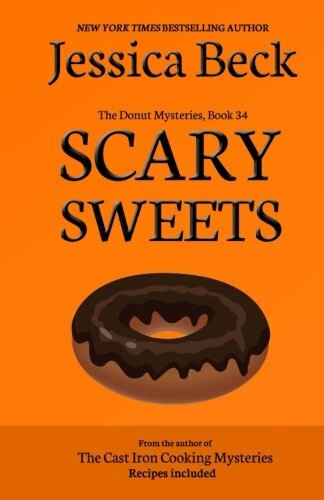 Scary Sweets, Book #34 in the New York Times Bestselling Cozy Mystery Series by Jessica Beck. It’s Fright Week in April Springs, a time filled with special events leading up to Halloween, but the celebration is in jeopardy when a body is found in the middle of the night on the platform of the dunking booth under the town clock. Suzanne and her mother decide to investigate, and soon secrets from the past resurface and threaten the present in a very real way.